Hate &apos;read my story&apos; spam? Here are some ways to get people to read your story without driving them, or you, insane. 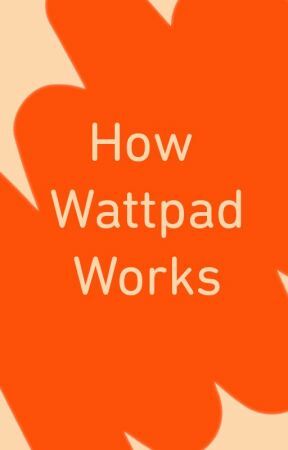 Below you&apos;ll find some tips and tricks we&apos;ve learned from Wattpad&apos;s own social channels about what works best when sharing stories externally. Follow Wattpad on Facebook, Twitter, Tumblr, Instagram and Pinterest to see examples of how we&apos;re using our own tips when we share your stories. We&apos;ve written this mostly for writers hoping to share their works but if you&apos;re a superfan, you can also use these tips to share your favorite writers&apos; works on your own social channels. - Add a link in your bio to your Wattpad profile or story. - Post photos from your story, or imagery like Quote Art. - If posting video book-trailers as Facebook video (which autoplays): keep the videos short, 15 seconds to 1 minute and remember to link to the story. - Check our press page for Wattpad logos and graphics you can download. - Tweet links to stories or reading lists that contain your story. We know it&apos;s exciting, but remember not to spam your followers. You can also spread the love by sharing other author profiles and tag the author -  they might even return the favor. - Use Hootsuite or Tweetdeck to schedule a tweet for every day you plan to update your story. Just schedule the tweet with the link to your story description. 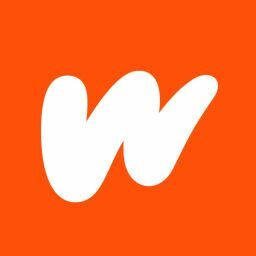 - Use hashtags - search for hashtags that are relevant and popular to your Wattpad stories, and use no more than 2-3 hashtags when tweeting links to the story. Keep an eye on what&apos;s trending on Twitter so you can jump on any trends if they&apos;re relevant to your writing. - Tweet some Quote Art. - Tags are the most important part of your post! You can use about 20 tags per post. - Use gifs - we like to create Top 5 lists of our favorite stories and include a reaction gif for each story link. Here&apos;s an example. - Write reviews or comments about your favorite lists. - Share stories - we recently updated our &apos;share to Tumblr&apos; feature so your story covers appear large and attention-grabbing. So make sure your story cover is on point. We like using Wattpad&apos;s Covers App or the free web service Canva to create covers. - Make lists - we live in the age of the listicle. Is your story one of The Top 10 Best BoyxBoy Werewolf Books of All Time? Use lists to grab people&apos;s attention and give great recommendations. - Create a Book Trailer for your story - but keep it short. - Make a story playlist of music videos for your story. - Do a dramatic reading of your book or your friend&apos;s crazy fanfic. - Capitalize on YouTube trends and review a book from the latest celeb to join Wattpad, like Tyler Oakley. People will come for the review and stay for your story. - At the end of each video, make sure to create a shoutout for people to read your story, or visit your profile on Wattpad. You can also write a video annotation for people to click on the link in your description. - In the video description, make sure to have a link to your Wattpad profile and the story you&apos;re promoting. - Don&apos;t forget to link to your Wattpad profile in your About section. - Tag @Wattpad whenever you&apos;re talking about your work. - Add a link to your profile or story in your bio. - Use Quote Art and remind people they can find a link to your story in your bio. - Use hashtags - search for hashtags that are relevant and popular. We usually post to Instagram with a short description and then comment below with 10-15 hashtags. Use a combination of popular and niche hashtags to attract the largest audience. - Pin story from Wattpad story details page in [...] drop down on web, or share icon on mobile. - Add relevant tags like #book #story #amwriting #bookclub #books, etc. - Make sure the story has a good cover by using the Wattpad Covers app (available in iTunes or Google Play) or the free web service Canva. - Create a Wattpad reading list of your favorite completed stories and post each story as a new pin on a board on Pinterest. Make sure you give the board a fun, specific title like "Hilarious ChickLit Book Club Ideas." - You can write and pin fashion, beauty, health, or food stories - these topics are very popular on Pinterest. - Create outfits inspired by Wattpad stories or characters. - Add a link to your Wattpad profile in your Polyvore bio. - Copy and paste your story description and a link to your story in the set or collection description. - Add a link to your Wattpad profile in your ask.fm bio. - Take requests for stories in your ask.fm, and once you&apos;ve posted them, give the link to fans. - Share the love - give shoutouts to your favorite writer friends on ask.fm so they&apos;ll link to your stories too. - Create ask.fm for your story characters. - Add a link to your Wattpad profile on your website, next to your other social network icons like Facebook, Twitter, YouTube, etc. Check our press page, wattpad.com/press for graphics and logos you can use. - Use  Wattpad&apos;s story embed widget to tease your book on your site. - Create a playlist for your story&apos;s soundtrack, or playlists inspired by your characters. - Link from the playlist and your bio to the Wattpad story. - Keep your fan-made art on DeviantArt, but be sure to include a link to the Wattpad story. We want to know what else is working for you! Comment with your favorite tips and tricks for bringing readers to your Wattpad story.